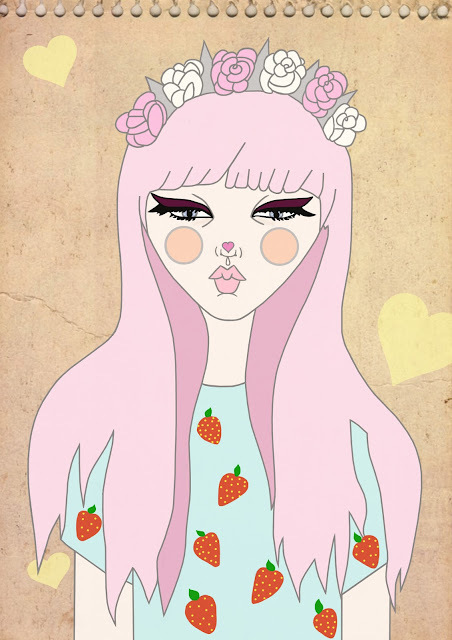 This was primarily inspired by some Fairy Kei pictures I found. It seems that these type of floral crowns are really popular at the moment, and I think they are pretty cute. adorable artwork and i can definitely see the inspiration. i really love the baby bue and pink with red. always love that combination. and i agree floral crowns, when done correctly, can look great.